Together with main events in the days leading up to the Pebble Beach Concours d’Elegance, the various auctions have become an integral part of the long weekend. They are held at several locations on and around the Monterey Peninsula. With many (wealthy) enthusiasts in attendance for the races and concours, it's a great opportunity to find new owners for hundreds of fine historic cars. For the spectators the auctions offer another venue to admire some incredibly rare vehicles. Most auction admissions are by catalog purchase only and we have never seen catalog prices as high as in Monterey. Between the major concours events we visited four auctions and the annual Blackhawk display of which we compiled a summary and a 125-shot slideshow. Located adjacent to the Pebble Beach resort, the Blackhawk Exposition is open free to the public and showcases a wide variety of classics. These are offered for sale rather than on auction. The Blackhawk Collection is continuously rotating stock with all cars looking for a new private owner. Some are in the Collection for only a short time, but others like the Aston Martin DB4 GT Zagato, displayed prominently on the field and on the cover of the catalog, has not sold for a few years. This year it was joined by two other stunning custom coach built Astons; an Allemano DB2/4 and a Touring DB2/4 Mk II. Alongside the ‘regulars’ from Rolls Royce, Duesenberg and Bentley, three Giotto Bizzarrini related creations really stood out. A two time Pebble Beach best in class winner, the Iso Grifo A3/L Prototype displayed up was the first of a long line of Isos and later Bizzarrinis. In his search of racing success Bizzarrini developed a mid-engined roadster in 1966, of which only three were built. The first of these was joined by a fourth chassis, which received a coupe body for a private owner in 1968, literally days before the company folded. A hangar in the exclusive Monterey Jet Center was the location of Christie’s auction of ‘Exceptional Motor Cars’. Another of Giotto Bizzarrini’s creations, the legenadary Ferrari ‘Breadvan’, literally took centre stage in the auction. Although expected to sell for $3.5 to $5 million, the controversial and cramped one-off racer did not receive a bid over the reserve price. Another pre-auction favourite was the ‘Teardrop’ Talbot Lago, which was the first of two to be offered over the weekend. French coach builder Figoni & Falaschi bodied only a handful of chassis with this characteristic design, which is generally accepted as one of the finest of its era (a similar car won the best in class award a few days later at the Pebble Beach Concours). This time the reserve was made and the beautiful Talbot changed hands for just over $3.5 million. Other ‘big-buck’ lots were the Ferrari 1512 Formula 1 racer and Bugatti Type 43A Roadster, which both sold for $1,115,000 each. Complimenting the exclusive ‘The Quail, a Motorsports Gathering’ was the Bonham’s & Butterfields auction. Throughout the afternoon a large selection of automobilia and jewelry was auctioned to warm up the crowd for the four-wheeled lots. With Alfa Romeo being the featured marque in Sunday’s coastline Concours d’Elegance, it seemed like the ideal time to try and sell one of only ten TZ2s ever built. Sometimes referred to as the mini-GTO, the Zagato bodied racer is one of the very few exotics the Milanese manufacturer produced after the War. Unfortunately no offers were made that met the reserve of this pristine example. Possibly even more special was a collection of six early Porsche 356 Speedsters, all of which are the first or among the first of its kind. Spending over twenty years collecting and restoring the Speedsters, the owner insisted that five of thee cars were sold as a collection. A high bid of $2.7 million was not sufficient to meet the reserve set. After the auction the owner told us this was to be the last time the cars were shown publicly for the next few years and he plans to have a museum ready to display them once again. One of the top sellers was one of the Speedster’s predecessors, the one of sixteen ‘America Roadsters’ produced, which sold for just over $700,000. Coincidentally of the ten remaining cars another was displayed across the street in The Quail event. 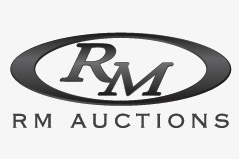 Easily the largest of the sales, the RM auction is spread out over two days and hosted in and around the Portola Plaza Hotel in downtown Monterey. Even the three-piece catalog is in a league of its own; there is a catalog for each day and a separate example for their ‘Teardrop Talbot Lago’. It was of a slightly different Figoni & Falaschi design than the example offered at the Jet Center auction, but it sold for a similar amount; an RM Auction high of $3,685,000. Important racing cars like an Alfa Romeo Tipo B P3 Monoposto, Ferrari 375 MM and Ford GT40 prototype sold for over $2 million. One of the rare non-sellers in the auction was an Aston Martin DB4 GT Zagato, for which a $2.45 million high bid was not sufficient. In total, 91% of the nearly 200 lots sold for a single auction record breaking $31 million. This included the very first Maybach 57s, which was auctioned off for charity for $550,000 after being driven on stage by Jay Leno and Stirling Moss. The last of the auctions was offered by Gooding & Company, and held at the Polo Fields on the same day as the Pebble Beach Concours d’Elegance. It was last, but looking at the results clearly showed it not the least; after an already expensive weekend some still had money to spend. Highlighting the sale was an alloy bodied Ferrari 275 GTB/4 Nart Spyder, which starred alongside Steve McQueen in motion picture ‘The Thomas Crown Affair.’ Furthermore it was the only example of this type with a racing record and despite that was never seriously damaged. It set the weekend’s record after finding a new owner for just shy of $4 million. Another five lots sold for over $1 million, which included an SJ Duesenberg and a XK-SS Jaguar. Two of the pre-auction favourites, the Ferrari 166/195 Touring Coupe and 340/375 MM Pinin Farina Coupe did not find new owners. Nevertheless Gooding & Company managed to shift cars worth over $22 million. Report by Wouter Melissen and images by Pieter Melissen, Rob Clements and Wouter Melissen.